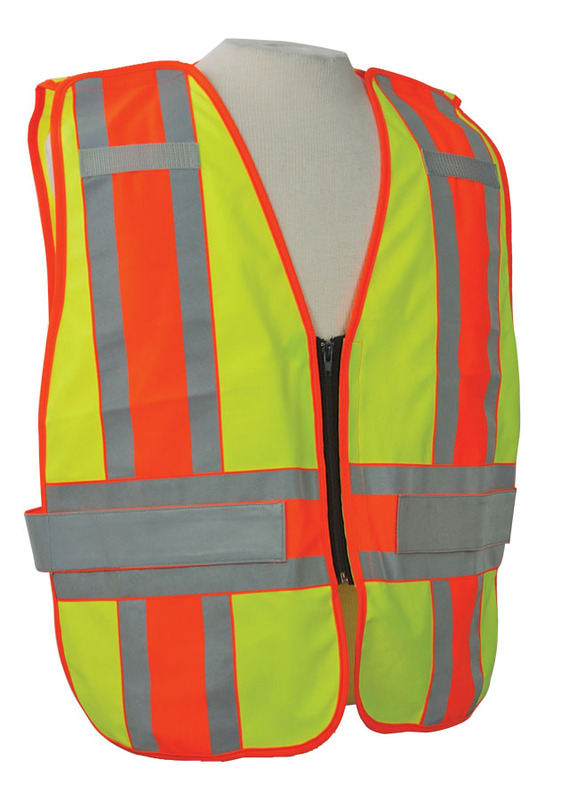 Our Alert Visions ANSI 207­-2011 Class 2 / 7­-point breakaway vest is made of durable lightweight warp knit high-visibility certified lime yellow material trimmed with matching high-visibility orange warp knit material with level 2 high-visibility reflective material. Seven­point safety breakaway is at each shoulder, center front zipper, and front and back both sides. Microphone tabs each side upper chest. Vests may be customized with lettering and/or logos to order. All vests come with high­visibility lime yellow material vest bag for storage.